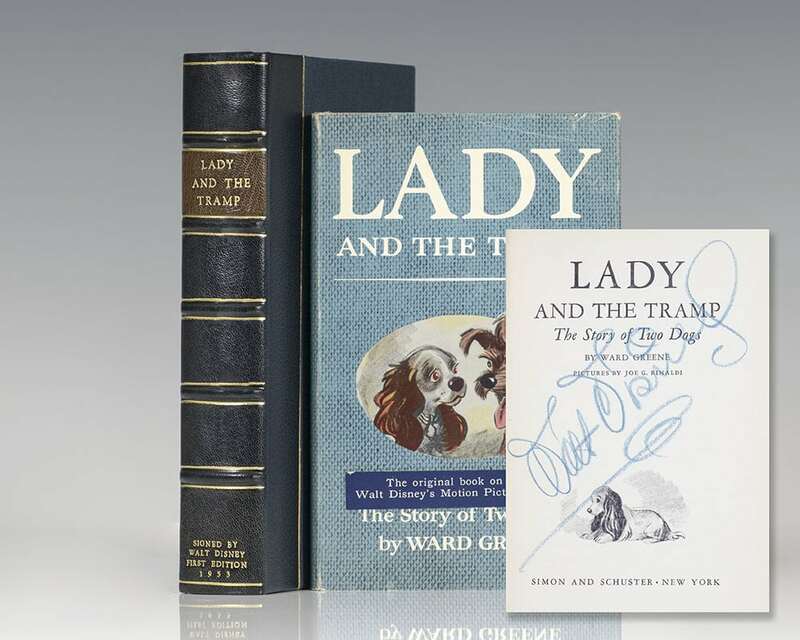 First edition of Lady and the Tramp, boldly signed across the title page by Walt Disney in his usual blue crayon. Octavo, original cloth, with charming illustrations by Joe G. Rinaldi. Foreword by Walt Disney. Fine in a near fine dust jacket with light rubbing. Housed in a custom half morocco clamshell box. Scarce and desirable signed by Walt Disney. 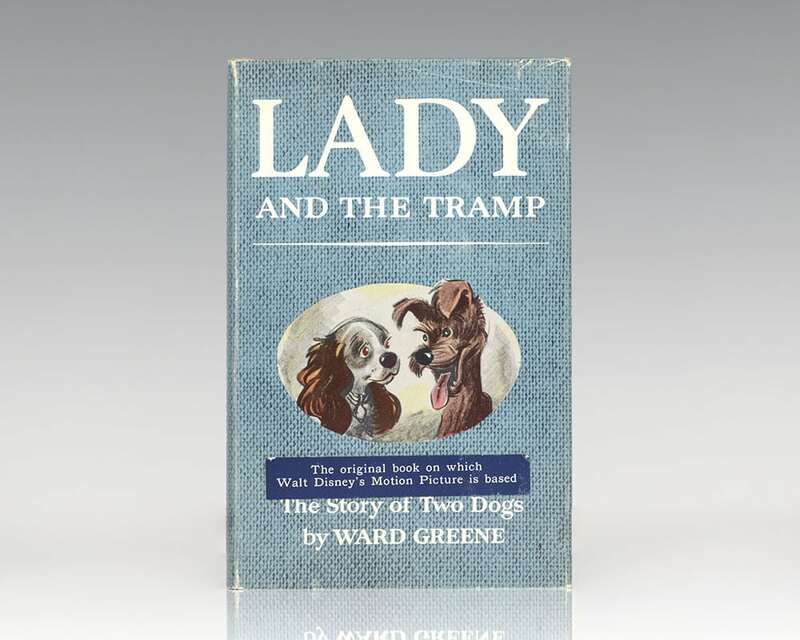 Lady and the Tramp tells the story of a female American Cocker Spaniel named Lady who lives with a refined, upper-middle-class family, and a male stray mongrel called the Tramp. 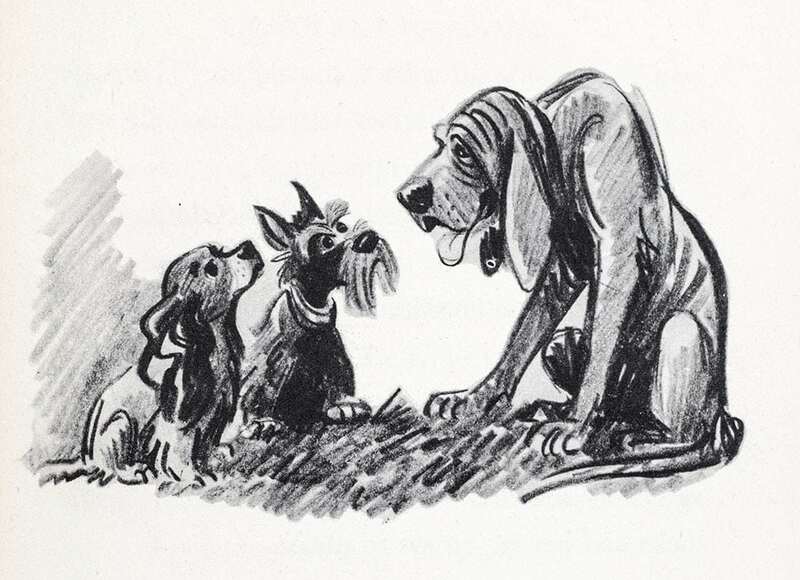 Greene, the editor and manager of the newspaper syndicate King Features, was the author of the short story, “Happy Dan, The Whistling Dog,” which came to Walt Disney’s attention. At Disney’s request, Greene developed the story into a full-length novel on which the film, one of the most popular of Disney’s animated features, was based. The sequence of Lady and Tramp sharing a plate of spaghetti — climaxed by an accidental kiss as they swallow opposite ends of the same strand of spaghetti — is considered an iconic scene in American film history. Lady and the Tramp was named number 95 out of the "100 Greatest Love Stories of All Time" by the American Film Institute in their 100 Years...100 Passions special, as one of only two animated films to appear on the list, along with Disney's Beauty and the Beast which ranked 34th. In 2010, Rhapsody called its accompanying soundtrack one of the all-time great Disney and Pixar soundtracks. In June 2011, TIME named it one of "The 25 All-TIME Best Animated Films."